Elaine Allen has been visiting St. Margaret's Day School since 2013. She visits with all age groups and talks with them about the Chesapeake Bay, local wildlife, and environmental issues that are important to the region. As a special treat, she reads one of her children's books and the students make a themed craft to take home. Jennifer Curtis is a passionate advocate of literacy and conservation and has authored an impressive collection of books that combine these ideas. 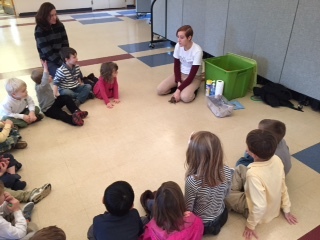 Jennifer visits St. Margaret's Day School each winter to talk to children about how they can help wildlife in the Chesapeake Bay area and help protect the environment. SMDS students and staff are excited for their first-ever up-cycling musical assembly with Curtis Blues. His presentation of is a wonderful contextual application of many of our environmental learning objectives. SMDS students and staff are fortunate to have a wonderful working relationship and partnership with Bob Baltz of the Maryland DNR. Bob not only conducts annual presentations about native bird species and rescued wildlife, but he manages our DNR blue gill program and has made himself available as a source of vast expertise and support to our growing program. SMDS currently cares for blue gill fish. Our fish tank is is located in our office foyer, providing every class with the opportunity to investigate and discuss the fish tank. Each class has a month that they are responsible for helping test the fish water and for feeding the fish. Eventually, these blue gill fish will be reintroduced to local waters in the Chesapeake Bay in Spring of 2019. SMDS students are always excited to receive a visit from Eco Adventures. Students are able to see local wildlife up close and see what makes each species special. Most importantly, they learn how they can protect local wildlife and what to do if they see an injured animal or an animal in danger. 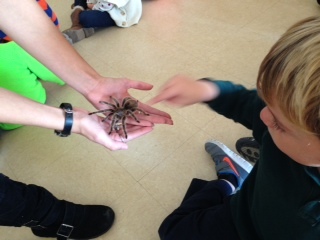 We have had snakes, various lizards, and even a tarantula visit our students! Eco Adventures visits SMDS once each year and conducts a school-wide assembly. Annapolis Martime Museum is an exciting part of our Spring semester as we learn about the Chesapeake Bay. Maritime offers an interactive program exploring the ecosystem of the Chesapeake Bay and different animals such as mud crabs, oysters, and blue gill fish. 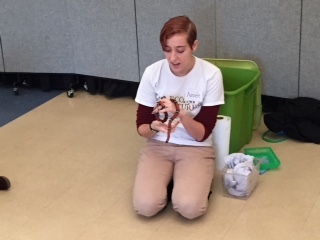 The students love these hand of experiences with the animals! This spring our Kindergarten class is going to enjoy a field trip to explore Martime Museums new location at Back Creek Park. The students will dissect oysters, catch bay animals, explore waterman culture, and investigate bay habitats. Martime Museum also runs an afternoon program at our school once a year.